Hundreds of Australian schools have begun trialling the online version of NAPLAN this week following major upgrades of their ICT systems. The trials are currently being sat in about 500 NSW schools, with more than 3,500 schools across the country to follow in coming weeks. However, there have been concerns from schools about the number of available computers in their classrooms to accommodate the online trials. 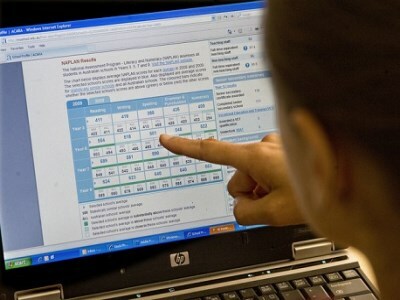 Jenny Donovan, executive director of NSW's Centre for Education Statistics and Evaluation, said schools were surveyed ahead of the online trials to find out how many laptops they had available and the capacity of their online connectivity. “We felt fairly confident that with a little bit of additional machinery that was made available from the department that most schools would be ready, and so far that seems to be the case,” Donovan told the ABC. Donovan said initial feedback seemed to indicate a positive experience for students. “We've been polling teachers and students as we go, and students in particular are coming back to us saying they thoroughly enjoyed the experience, that they much prefer doing a test in an online environment,” she said. The Australian Education Union (AEU) has called on all state and territory education ministers to abandon the rollout of NAPLAN online and engage in urgent discussions about issues raised by teachers and principals. AEU federal president, Correna Haythorpe, said the shift online would put many students and schools across the country at a severe disadvantage. “Students are being asked to complete this test online while many of our schools simply will not have the capacity, technical support or resources from education departments to make this achievable,” Haythorpe said. Haythorpe added cautioned that if states go ahead with the implementation of NAPLAN online, thousands of students in our schools will be put at a severe disadvantage. “Many schools in regional and rural areas do not have reliable internet connections, and students from low socio-economic areas often don’t have the same level of access to technology as others,” she said.